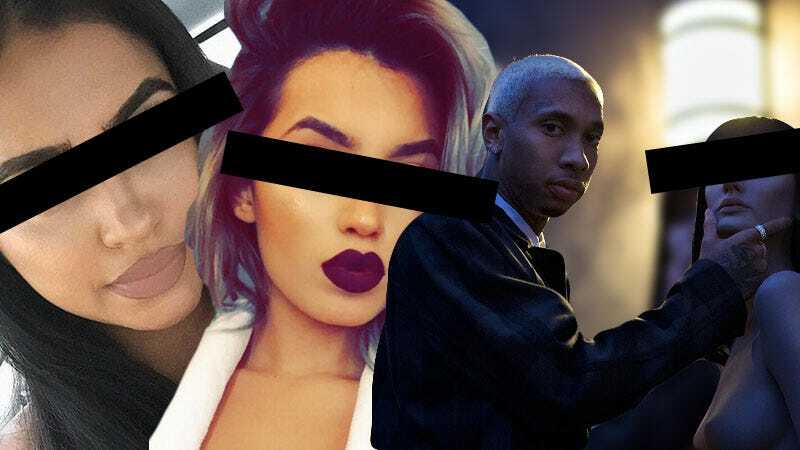 Tyga Has Been Seen With Three Kylie 'Lookalikes' This Year, But Do They Really Look Like Kylie? Over the past several months, professional rap star impersonator Tyga has been been spotted with three women reported as “Kylie Jenner Lookalikes.” Given that Kylie Jenner was regularly referred to “White Chyna” at the start of their relationship (remember that he is the father of Chyna’s son, King), this is unsurprising. Tyga has a type! So what. The problem is that the alleged “lookalikes,” though matching the broad characteristics we now know Tyga is attracted to, don’t really... look that much like Kylie? Below are the three he has been spotted with since the start of the year, ranked from Least Kylie to Most Kylie. Birdas, a 21-year-old “cafe worker” from Brisbane, has the lips, but not much else. Her front-facing camera captures a knowingness inside the eyes that’s usually absent from Jenner’s selfies. Yes, we’re getting closer. In addition to the hair and the eyes, Mercado has attitude. Scroll through her Instagram feed for a collection of photos that matches Jenner’s hyper-confident and style-obsessed brand. And, like any Instagram star worth their salt, she even posts sponsored content. Now I see it. This mannequin, with whom Tyga posed in Dujour, bears such a striking resemblance to Kylie that she could easily be the sixth Kardashian-Jenner daughter. I’ve decided to name her Kacey. Images via Instagram / Getty / DuJour.